I love this recipe and it is a staple late night snack in my house hold. It regulates my blood sugar through the night and curbs any sugar cravings. You will see a lot of the recipes we like come from a few websites. www.paleoplan.com is one such website. 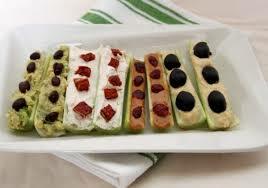 2 – Spread Nut Butter and each stalk and top with your favorite topping.